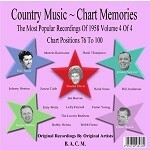 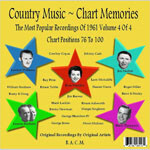 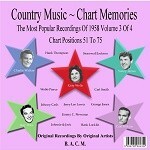 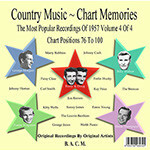 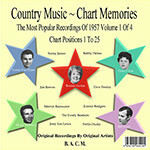 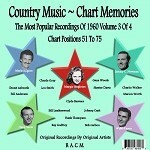 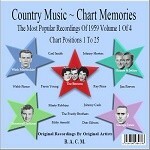 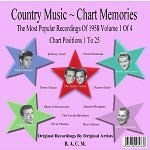 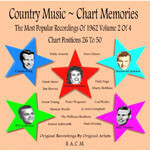 Country Music ~ Chart Memories is a limited edition, mini-series created to appeal to all country music collectors. The one hundred most popular recordings by original artists for each year from 1962 back to 1950, in chart order, as four individually available CD's, for each year. 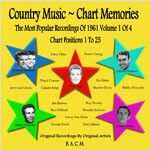 The popularity charts reflect US and UK sales, airplay and juke-box data for the era's. 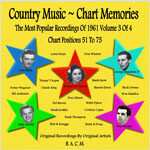 Many of the most popular recordings crossed over to the general classification known as Pop-Music which helped boost the interest in Country Music through the 1950's and 1960's. 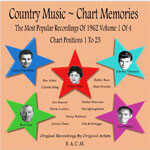 Each CD contains basic details on the performing artists - useful for music presenters.